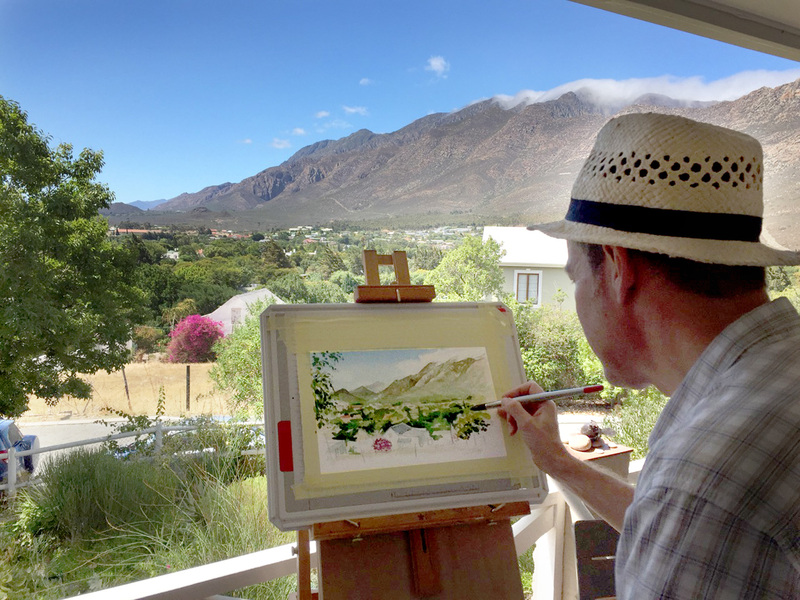 South Africa – Painting en plein air. Nearly. 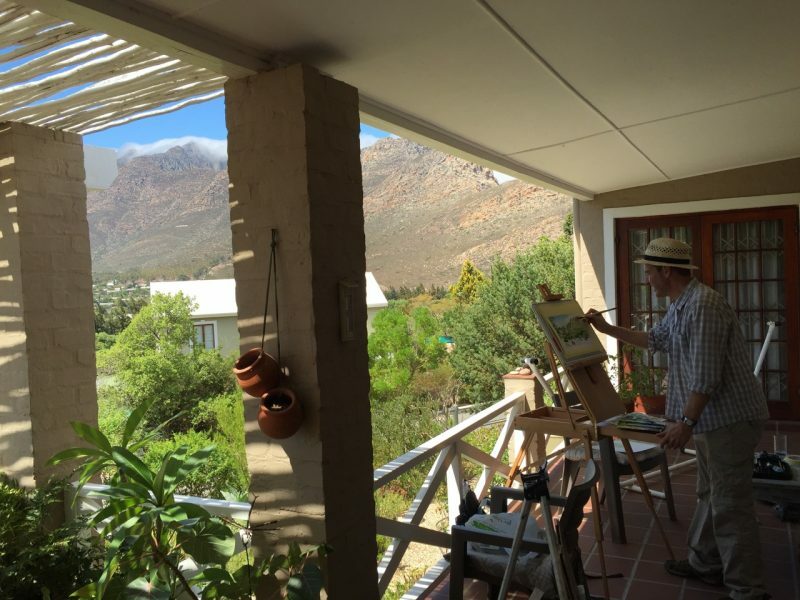 I’ve realised that I’m not averse to some winter sunshine, and there was plenty during our family visit to South Africa – Montagu, Western Cape to be exact. 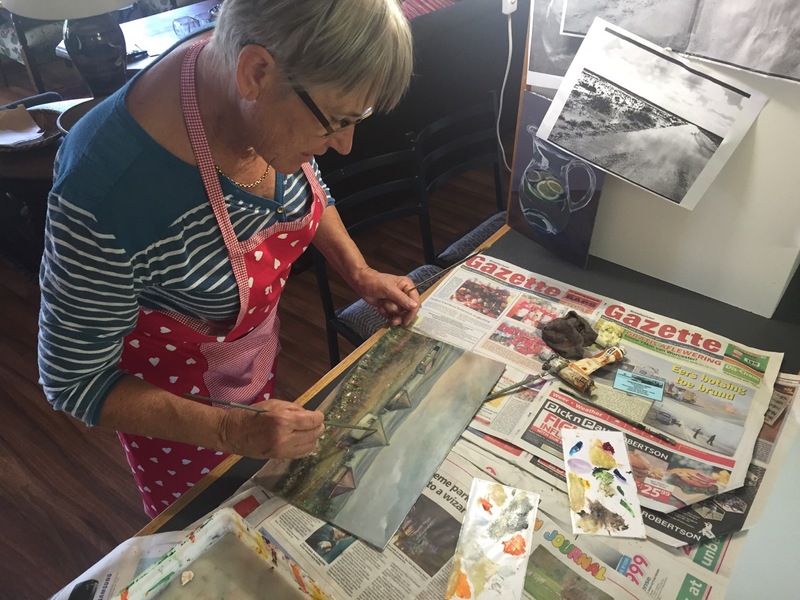 While I was there, I was invited to join a local painting group on a couple of occasions. 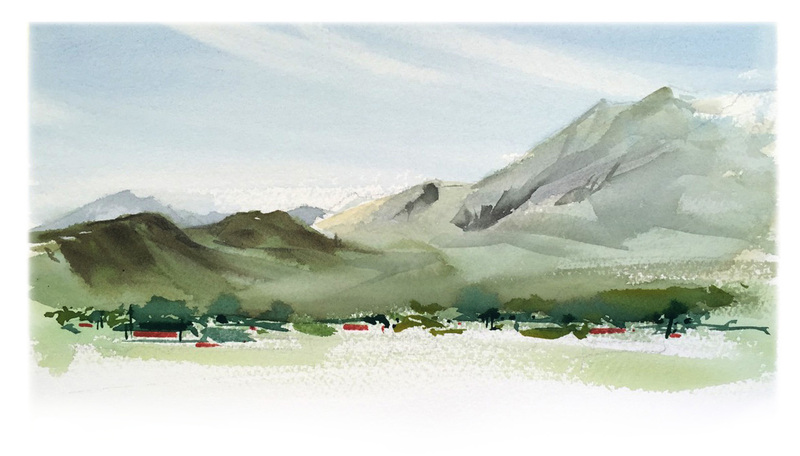 Painting en plein air had been discussed but the ‘stoep’ was temptingly cool and shady. 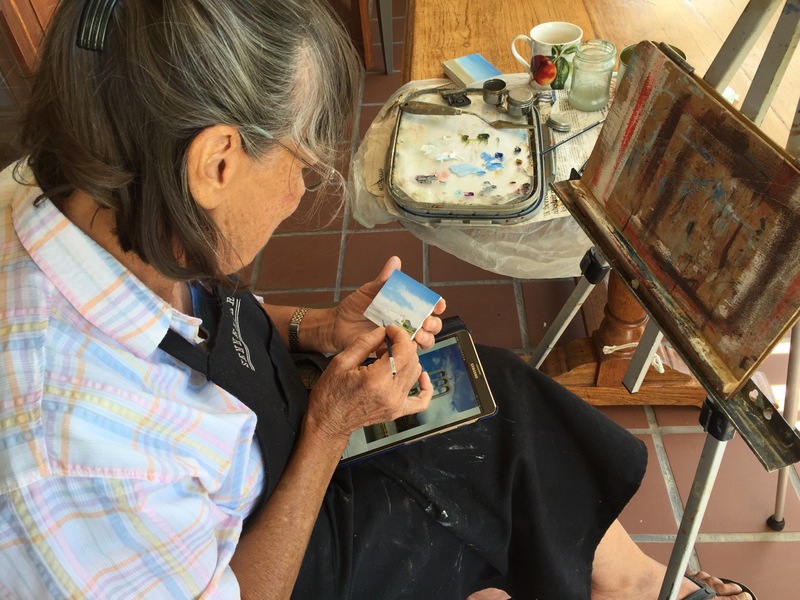 While painting, another artist told me of how, when she was young in former Rhodesia, she would set off painting en plein air with her friends. 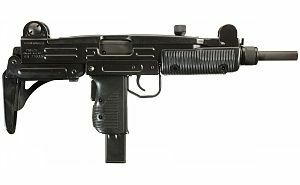 They’d carry their equipment and picnic in baskets – as well as a few Uzis. A different era.. 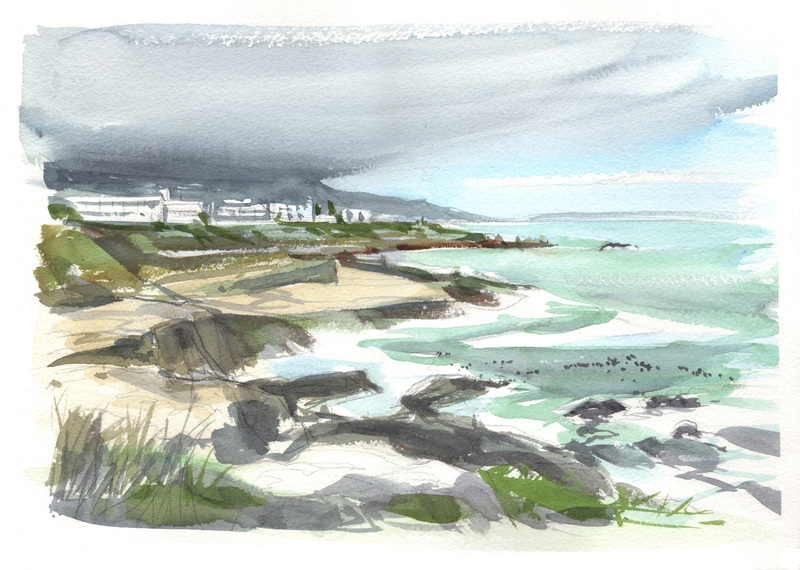 I also managed to do some watercolour sketches based on trip to the coastal resort of Hermanus as well as an impression of the open road. 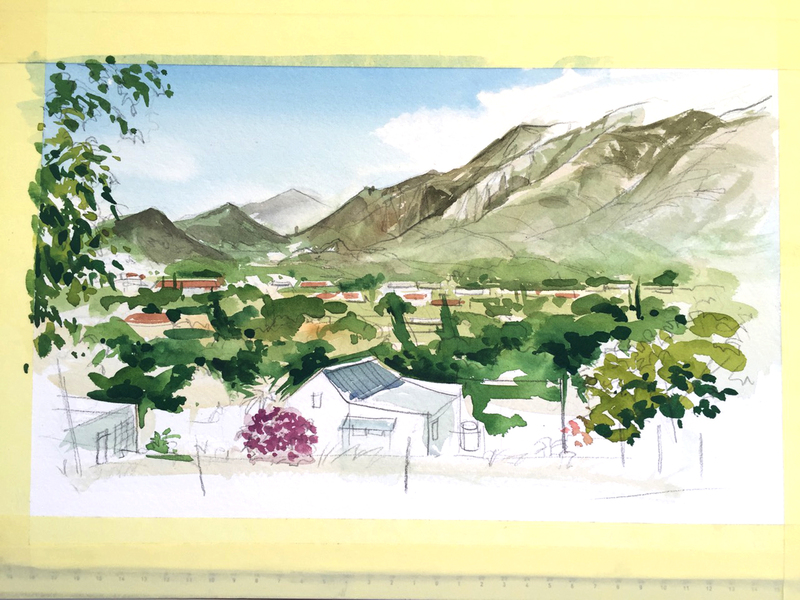 The scenery was spectacular and I’m already planning to do more paintings inspired by the trip. Endeavouring to capture the view. I prefer this second one – a little looser in style. Busy on an African scene. 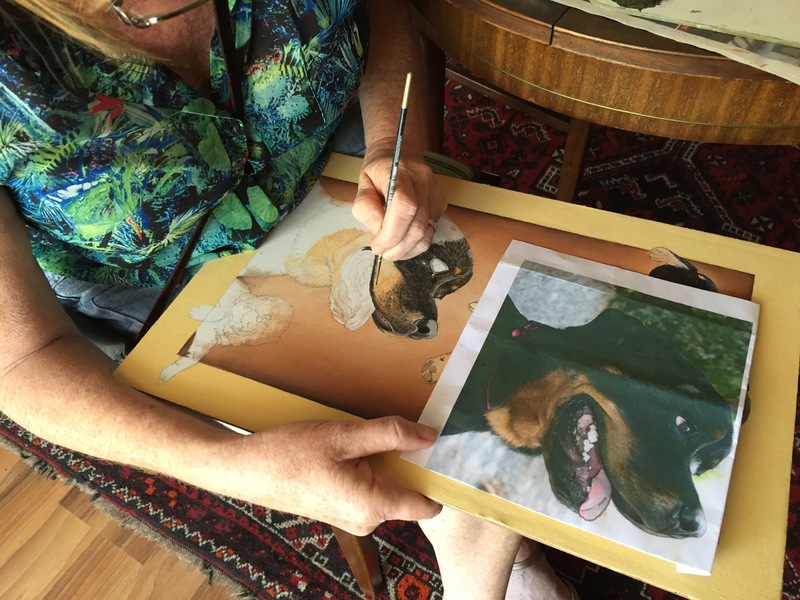 Working on a commission – extremely fine work. 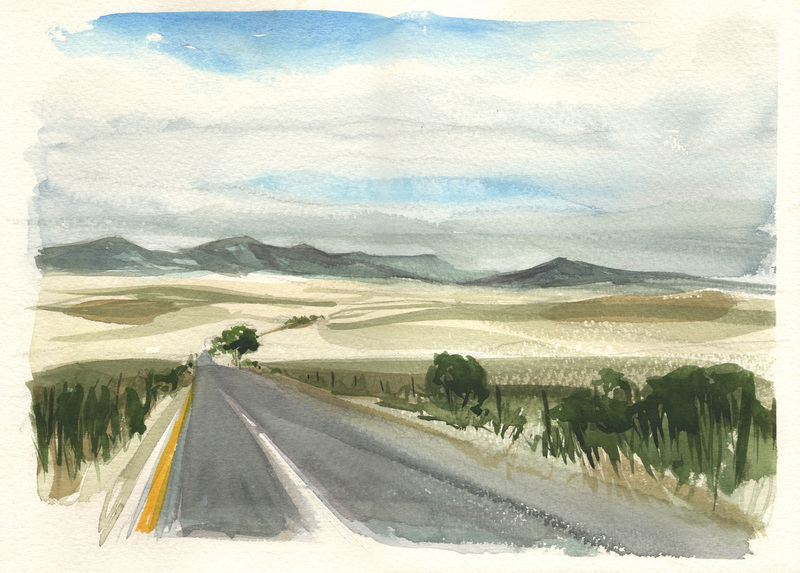 A watercolour sketch of the ‘Open road’.